Morven. Walk starts at Braemore heading along the track to Corrichoich. Then a walk across rough moorland to the East side of Morven. 15 kms approx. Loch Hope to Freisgill. Start walk at the head of Loch Hope with a track for the first 2 kms. Thereafter over rough ground with stunning views of Loch Eribol. For those with excess energy a further 2.5 kms will take them to Whiten Head with its beautiful sea stacks. 13 kms approx. 17 kms if you go to Whiten Head. This is an 8.00am start. Loch More to Ben Alisky. Start at Loch More cottage heading south-west. At some point Thurso river has to be crossed so watch out for wet feet. 22 kms approx. Weekend to Lochcarron. To climb Beinn Liath Mhor and possibly Sgorr Ruadh. Stay overnight on the Saturday in Lochcarron. Please advise me by 03-09-06 if you intend going. I will try and help with accommodation and travelling arrangements. Berriedale Strath to Braemore. Leave transport at car park at Estate Office at Berriedale and at Braemore. Head up Berriedale Water to the Duke of Kent�s Memorial before ending the walk at Braemore. Track part of the way. 9 kms approx. Portgower to Brora. A walk of approx 12 kms along a quiet stretch of the Sutherland coast. Transport will be left at Portgower and Brora. A climb up Maiden Pap. Start at Braemore and enjoy a steep scramble up this small hill of 484 metres. Camster to Mid-Clyth. The walk starts on forestry track � 1km north of Camster Lodge. The walk is approx 9 kms long on good track. It finishes at the Hill of Many Stanes. Transport will be left at both ends. John O�Groats to Skirza. A walk of approx. 10 kms along the coast. Small sections of track but mostly rough walking. A spectacular part of the Caithness coastline. Transport will be left at both ends. Kirtomy to Bettyhill. See the remains of Borve Castle and beautiful Farr Bay. A walk of 10-11 kms around this lovely coastland. Again transport to be left at both ends. Suisgill Lodge to the Child�s Seat. Suisgill Lodge or what is left of it is 16 kms up Kildonan Strath from Helmsdale. This is rough walking over moorland to the Child�s Seat which is a small hill 470 metres high. Total distance is 15 kms. 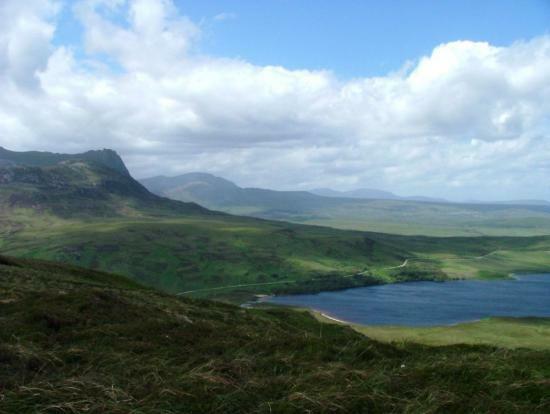 Ben Loyal. The walk starts at Ribigill farm which is 3 kms south of Tongue. A path leads over the moor to the lower slopes of Ben Loyal. From there on a stiff climb to Sgor A Bhatain and then on to the highest point An Caisteal at 764 metres. This is an 8.00 am start. I have arranged a minibus for this trip. Cost �7.00 approx per person. Please let me know by 13-May-07 if you want to book a seat. As usual we all meet in Somerfield car park, Wick at 9.00am unless stated otherwise. If this is not suitable for you phone me on 01955 604773. Please take a packed lunch and wear suitable clothing and footwear.